Fear. Worry. Depression. Bitterness. Sickness. Grief. How can you handle these things in your own strength? You can't. It is only your knowledge of God and His ways that will uphold you in challenging times. You need to know your God. Nothing in life is more important than that. This devotional notebook will help you in your quest to know God through your daily devotional time. When talking with other women, the thing I most long to communicate to them is that it is the knowledge of God through His Word that will uphold them through the troubling times of life. This devotional journal has helped me more in my knowledge and understanding of God than almost any other tool I have found. Print out the covers and dividers. Insert into the front of your notebook and into plastic sheet protectors. ﻿﻿Print 10-15 copies of the "My God. . . " and the "My God Wants. . . " pages. Insert into your notebook. My God Wants. 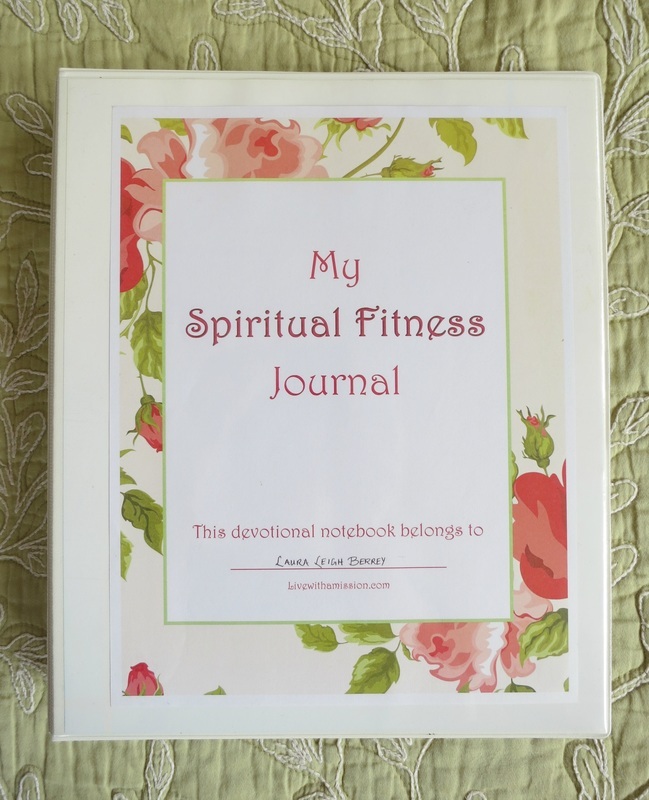 . .
Read this article about how to use your Spiritual Fitness Journal.